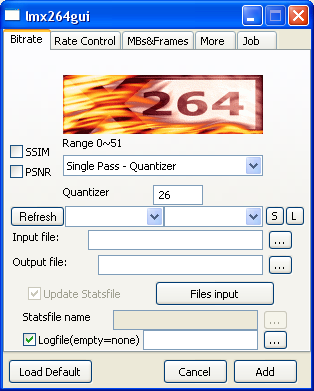 This is a GUI for x264 which is just like the x264VFW. Add awful number of files once. Support AVS Script preset, so using non-avs files as input is possible. Conditional double passes, estimating the right Q means finishing in only one pass. Support audio encoding and automated muxing. Support shutdown after jobs done. NOTICE: This project will not be continued. A new one in C++ is planning.